The massive renovations that have consumed Miranda Fair for the last 18 months are almost over. Their completion brings several new food chains to the area that are usually only found in the Sydney CBD or Northern Beaches. One such establishment is Gelato Messina, who opened their doors to some very excited patrons late last year. However, its location has meant that many don't even know it's there. Sweet treats in the upgraded Westfield Miranda. The Miranda branch of Gelato Messina is hidden along the very front of the new outdoor area facing the Kingsway. Once I learned that it was there, I heard that on weekends it's quite common for there to be a long queue flowing from the store. I was expecting to see some sickly sweet combinations, based on some of Gelato Messina's Facebook photos (including one with cream cheese, caramel, white chocolate and duck fat). What I got was thankfully a bit tamer than other branches, and this particular store also boasts a make-it-yourself dessert bar, so you'll get just what you want. 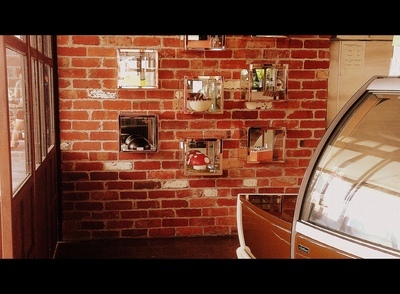 The trendy exposed brick store was simple, but effective, with a display case housing around thirty different gelato flavours and a small outdoor seating area. The flavours range from the more traditional flavours like my personal favourite, choc-chip mint to their own inventions like poached figs in marsala. 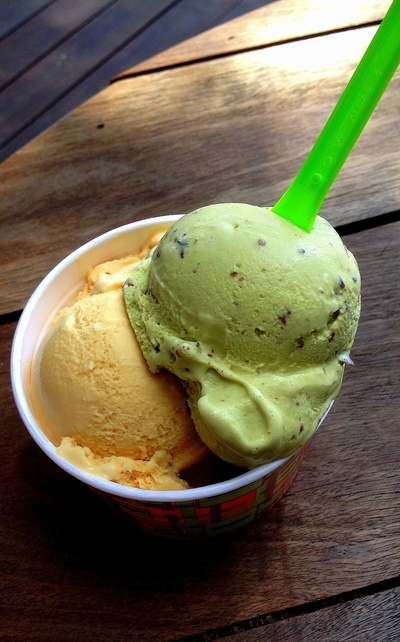 Of course, I tried a double scoop cup with a choc-chip mint and a salted caramel and white chocolate scoop. They were delicious and the taste and textural differences that separate gelato from regular ice-cream were instantly recognisable. I had however assumed that the white chocolate would be ground throughout the scoop, yet I didn't find any. It was only when I got to the very end I found a few big chunks of white chocolate - so you may have to exercise a little patience. This happened again on my second visit, when I chose the Italian nougat and I found a collection of whole nuts at the bottom. It's your birthday, so you can have cake and gelato! On a weekly basis, five new flavours are tested (previous ones included 'Khaleesi' and 'Tyrion') and depending on their success, some may even find themselves added to the permanent menu. As much as I enjoyed the range of flavours, I did come across a few elements that might detract from the fun vibe Gelato Messina is trying to provide. Firstly, many of the flavours include ingredients such as nuts, eggs and even alcohol. The labels on the display cabinet only include the name of each flavour, and when some of those are in Spanish or Italian, it makes things a bit difficult, especially for those with special dietary requirements. Of course, decoding these flavours is made all the more impossible on weekends when people are virtually crawling over each other to get a look at the offerings. The pricing was also a little higher than I expected, as one scoop in a cardboard cup is $5. It therefore makes it worthwhile to spend that extra dollar and get two scoops. The centre of the foodie frontier in Miranda. 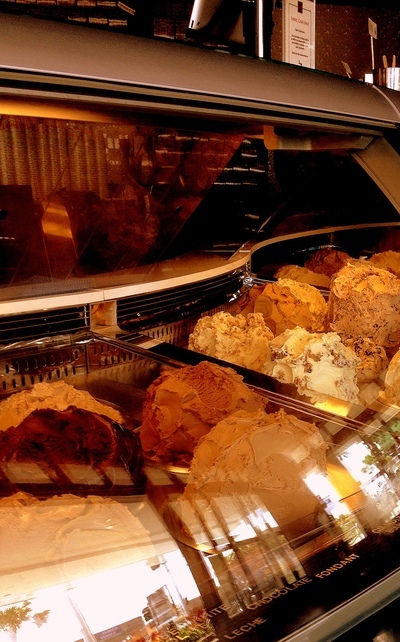 Gelato Messina also offers two cone sizes and large take-home tubs. You can also have the best of both worlds on your birthday, and order a cake made of gelato and sponge in various shapes and flavours. They aren't cheap, but they certainly look like a whole lot of fun. 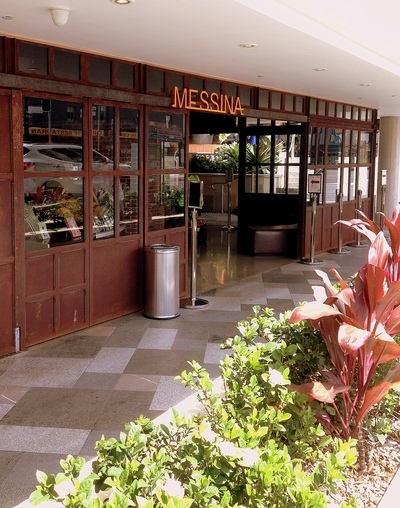 Overall, Gelato Messina isn't something you could eat all the time, but it certainly makes for a great sweet treat.